Daredevil Season One and Jessica Jones stand as two of my favorite series of all time. They weren’t just good Netflix shows – they were good shows, period. Later series have lost some of the fire, with the second half of Luke Cage feeling lackluster and Iron First completely losing the public’s goodwill. 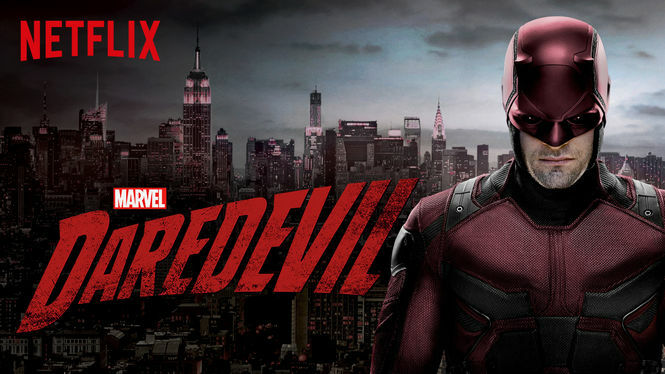 However, Daredevil Season One continues to be an outstanding piece of media, and it’s because it strayed for so long from what people expected of a superhero show. Looking back at the first episode, Daredevil does so much right that it’s almost impossibly amazing. It begins with an appropriate attention grabber. Remember, this was a new move by Marvel to produce media strictly for Netflix. At the time, this seemed like a gamble, even if later shows proved to be hits. The show opens with the requisite story about how Daredevil got his powers as a child before transitioning to the present, where he is shown dealing justice to a bunch of human traffickers. It’s an effective, if predictable way to get an audience’s attention, but it gets a big boost from the way the scene is presented. First, the action choreography is amazing. Daredevil feels like he’s an effective fighter. Second, there’s something likeable about his prey, Turk Barrett. Turk doesn’t get a lot of lines, but this is a case where good casting comes into play. Turk says just enough to communicate his character, and he comes across as likeable enough that Marvel reused him in future series. Watching the fight break out is a random thug munching on food and staring at the action in disbelief, which adds some humor to the proceedings. So, this opening scene does the most important thing right – good action. However, it’s got so many good elements surrounding it that the fight stays memorable. Matt Murdock and Foggy Nelson. With the audience hooked, we then move to the law practice of Matt Murdock (alter ego of Daredevil) and Foggy Nelson. First of all, the plot for the entire series is basically set within the first few moments of their introduction. Hell’s Kitchen is becoming a high demand area with regard to real estate price. It seems like a throwaway line, but it’s actually more of a verbal Chekov’s Gun. What this means is that the mention of the rising property rates is later revealed to be part of the main villain’s plot to make the area a better place to live, from his point of view. The show’s opening 15 minutes tell you the strengths of the hero, provide character insight, and give you a hint as to the overall plot. This is opening scene writing at its best. We actually don’t see Daredevil again for the next 30 minutes, a bold move that pays off precisely because we get more time with the characters. Murdock and Foggy’s relationship is developed enough that we can see their precarious financial circumstances. We get insight into their individual personalities, and we also get to see how they play off one another. Not only do we get to understand them in the context of a legal case, but also during their private moments and conflicts. This matters because we’ll spend so much time with Murdock over the next 13 episodes that we need to be invested in the human side of the persona. Daredevil isn’t a fantastically complex character, but he’s still one we need to be invested in if we want to care about the fights that happen later in the series. Another important part of the opening episode is that when Daredevil shows up again, it’s in the context of who he saves – Karen Page. Page might not seem overly important in the context of a series that goes on to show off fantastical characters like the Punisher and Elektra, but she’s really the linchpin for much of the plot and ties together multiple elements of the show’s first half. She’s a secretary to Union Allied Construction, which serves as the money laundering front for the Kingpin’s real estate plot. She gets the law services of Murdock and Foggy involved, which also serves to bring the Daredevil into the action. Finally, she goes on to work at their law office and acts as a balance for their dueling characters. Page makes a natural bridge to multiple elements of the show. Instead of writing in a throw-away, one-shot character, the writers wrote in someone that could unite many parts of the series over the long-term and keep us invested in her fate. It’s why, when Daredevil shows up for the second time in the episode, that we care. We’ve invested in not only Murdock/Daredevil by this point, but Page herself. Daredevil could have easily gone the way of being a straightforward, beat-em-up, action show. However, it aspired to more than that from the start of the first episode. While the action scenes were amazing, they were secondary to the plot the writers were interested in setting up and the characters they wanted us to fall in love with. By the end of the first episode, we have a reason to keep caring because we’ve spent time with these characters. They’re real enough that we want them to succeed, and they ground the entire show into a semi-plausible reality that we can buy into. Daredevil’s formula didn’t always work in future episodes, but episode one was a case study in how to open a series in any form of media.